Bhakta Mark – New York: In approximately 1972, the Founder-Acarya of Iskcon, HDG A.C. Bhaktivedanta Swami Prabhupada, began using a Ritvik system for formal initiations. He gradually expanded upon its intricacy and formally recognized it as policy for his society in an official document written on July 9, 1977. When asked by his GBC leaders in May of 1977 to clarify how formal initiations would be conducted after his disappearance, he confirmed that the ritvik system would continue, and that there should be no change in management. Thus he clearly ordered the continuance of the ritvik system of formal initiations after his disappearance before formalizing the policy in July. 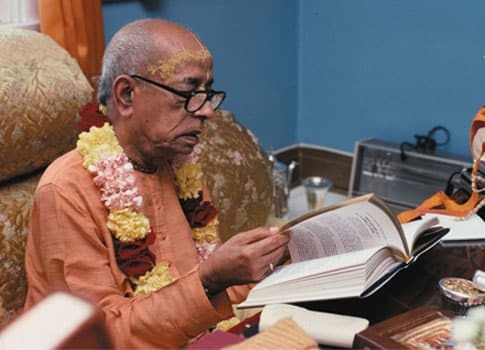 The most used argument against the ritvik system is that it breaks the very law of disciplic succession enunciated by Srila Prabhupada in a letter to an individual disciple, as follows. First, by no means does this letter define disciplic succession. It only points out a law regarding “the etiquette and custom” of accepting disciples. Accordingly, this argument is easily defeated because the Founder Acarya has the right to make adjustments to formal customs according to time, place and circumstance. And he did just that by his own spoken word, and recorded by his pen. In addition, the truth is that his disciples who instruct newcomers play the role of Siksa Guru because the newcomers accept discipline from them and in doing so become disciples of those instructors, but that does not make that instructor the newcomers formal Initiating Spiritual master. The reasons for keeping this distinction will be addressed further on, but the main point is that the ritvik system provides no factual contradiction to the essence of even the customary law of disciplic succession. This fact of Siksa discipleship also takes care of the oft cited contradiction that Srila Prabhupada said his disciples should become Gurus, and that new initiates would be considered his Grand-disciples. More on that later. Among the many lesser and weaker arguments like the one above, there is one of some substance offered by those who are against following this order. They believe that following the ritvik system will break the parampara, or the chain of disciplic succession, because a newcomer will not have a Diksa guru who they can be a disciple of and interact with in the sense of personal face to face encounters on the bodily platform, which is needed in the beginning stages of spiritual practice to realistically address the material sensibilities of a neophyte who is not yet purified of such bodily attachments. 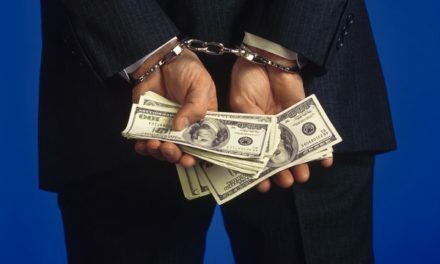 They argue that if a newcomer considers that a person they cannot interact with in such a manner is their Diksa Guru, they will escape a certain level of accountability, being unable to be tested or chastised by that absentee Guru. This argument does not take into account the following factors. Disciplic succession, in its essence, is the successful transmission, from one person to another, of transcendental knowledge of the Lord and HIS philosophical conclusions. “Regarding the disciplic succession coming from Arjuna, disciplic succession does not always mean that one has to be initiated officially. Disciplic succession means to accept the disciplic conclusion. 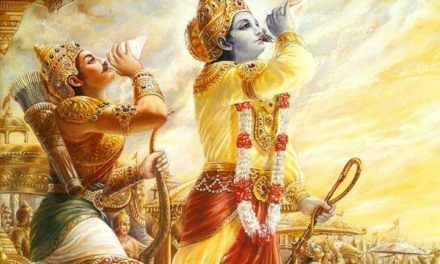 Arjuna was a disciple of Krishna and Brahma was also a disciple of Krishna. Thus there is no disagreement between the conclusions of Brahma and Arjuna. Vyasadeva is in the disciplic succession of Brahma. 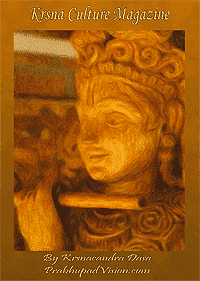 The teachings to Arjuna was recorded by Vyasadeva verbatim. So according to the axiomatic truth, things equal to one another are equal to each other. So this transmission of knowledge first begins when a person accepts some instruction which will somehow prepare and enable them to later submissively receive the disciplic conclusions given by an acarya, and even later realize and apply those conclusions practically in their life. 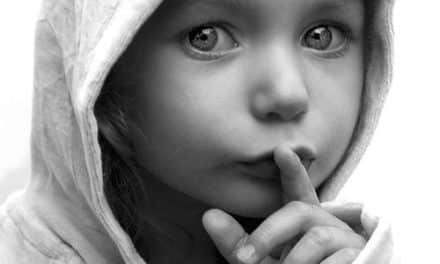 Diksa is a process which begins when one hears, accepts, and follows a spiritual instruction (siksa). The process further proceeds through distinct stages, during which one is incrementally instructed about more conclusive knowledge, gradually realizes the knowledge in practice, and then later comes to Love Krsna fully and irrevocably. Somewhere within the time-frame of that Diksa process, one receives FORMAL DIKSA INITIATION by a person who is QUALIFIED to do so by being AUTHORIZED to do so. At that point one officially gains a “Diksa Guru”, even though the devotee who originally gave the instruction that initiated one’s Diksa process, and thus spiritual life, may not be their official Diksa guru. Srila Prabhupada gave instructions to his disciples by which they would become qualified to instruct others as Siksa gurus. Indeed such Siksa Gurus may even be the first to “spiritually” initiate, or start the process of Diksa in a newcomer. Such an instructor may also be technically QUALIFIED to perform an initiation ceremony. But are they AUTHORIZED by the Founder of the Matha/Asrama/Society to be considered the official “initiating spiritual master” of that newcomer? 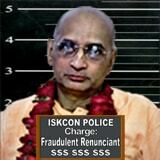 In the case of the Iskcon Society, the answer is NO, according to the preponderance of evidence. In Iskcon such instructors only have AUTHORIZATION to appeal to the regional Ritvik Representative of the Acarya on behalf of the newcomer. This is one of the two “checks and balances” that Srila Prabhupada instituted among his brahmana class, the other being the Direction of Management for the GBC. The regional ritvik is AUTHORIZED to accept the local instructors recommendation for formal initiation on behalf of the Founder Acarya, whose ORDER was that he remain the OFFICIAL initiating spiritual master of the society. This was an adjustment the Founder/Acarya made to the formalities in his Asrama, according to time, place, and circumstance, as is within his right to do so as a liberated Acarya. This order has no bearing on the reality that the local brahmanical instructor (usually a temple president or secretary) may at some point become just as qualified at guiding a newcomer through the process of Diksa, all the way to the advanced level, as the Founder-Acarya himself. The Founder-Acarya certainly trained them in the hope they would become so qualified, and said so himself. Yet simultaneously this Ritvik provision provides that certain safeguards remain in place for Iskcon. Safeguards which if followed will reduce the temptations otherwise available to a neophyte instructor. Those safeguards being that no Brahmana instructor will receive the level of worship and Guru puja as the founder-acarya. He will be required to run every recommendation for initiation through an elder brahmana in the region, ensuring a higher probability of accountability. And of course, this system makes it near impossible for any instructing Guru to make a hard and fast claim on a new man by saying “I am your Diksa Guru and there can be only one, thus I deserve a certain level of respect and you will do so or be rejected”. And also less likely that instructor can justify an additional standard of financial remuneration (daksine) from the newcomer. This Ritvik system most importantly serves to assure any newcomer that they are officially a disciple of the Founder/Acarya and have a eternal link to his Grace, and will especially encourage them to diligently compare the Siksa they receive to the Siksa of the Founder/Acarya. Thats it. Simple. The continuation of the Ritvik system that began and evolved since the early 70’s was a direct order. It does not hinder the successive transmission of transcendental knowledge from a local instructor to the new disciple. Such an instructor can call the newcomer his disciple and a Grand-disciple of the Founder Acarya if that makes you him feel technically correct, because the word “disciple” is still there in relation to the Founder-acarya and formally he IS an initiated disciple of the founder, thus fulfilling the requirement in paragraph 3 of his last will and testament. Satsvarūpa Mahārāja: Then our next question concerns initiations in the future, particularly at that time when you are no longer with us. We want to know how first and second initiations will be conducted. Śrīla Prabhupāda: Yes. I shall recommend some of you. After this is settled up. I shall recommend some of you to act as officiating ācārya. Tamāla Krsna Mahārāja: Is that called rtvik-ācārya? July 9th 1977: letter to temples officially recognizes Ritvik system. So as we see, the continuance of the ritvik system never created a real contradiction. But doubts have arisen anyway because certain neophytes have been too motivated by personal ambition to see they are creating a tempest in a teapot while in reality these doubts are reconciled as easily as crossing the ocean of water contained in the indentation of the hoof print of a calf.